Human rights activists and several Belgian political parties are calling for the resignation of Theo Francken, the secretary of state for immigration, citing his aggressive and hostile stance towards migrants from Africa and the Middle East. Opinions on Francken are deeply divided. Popular in Flanders, the member of the Flemish Nationalist Party (N-VA) has sparked outrage from NGOs and citizens on both sides of the linguistic border with his anti-migrant rhetoric. In the latest controversy, Francken recently invited Sudanese officials to Belgium to help identify illegal immigrants and return them to their country of origin. Some of the deportees were later reportedly tortured in Sudan, according to NGOs. 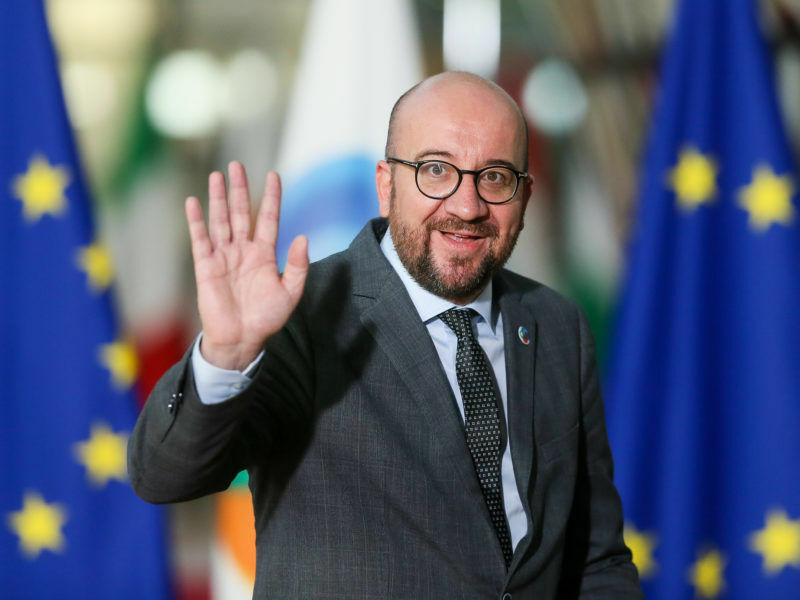 Belgian Prime Minister Charles Michel said yesterday (11 January) he would seek EU help to settle a row over his country’s deportation of Sudanese who were allegedly tortured on their return home. Some 20 NGOs and political parties are now calling for Francken to step down but the N-VA categorically refuses to consider it, and have threatened to collapse the coalition government led by Prime Minister Charles Michel if Francken is sacked. In the face of mounting pressure, Michel ordered a suspension of deportations to Sudan until the conclusion of “an independent inquiry”, with the help of the UN. He also repeated that his ministers would continue to pursue a “firm and humane migration policy”. On 13 January, more than 6,500 people took to the streets in Brussels, calling for Francken’s resignation and chanting “Francken buiten” (Francken out). Alexis Desweaf, president of the Belgian human rights league (LDH), urged the prime minister to react. The Parliamentary Committee on the Interior will shortly consider a bill that would allow raids and arrests of undocumented migrants in the homes of third parties. The bill has been heavily criticised by NGOs, and rejected by a committee of judges who reviewed the proposal. “This bill destroys the independence of the examining magistrate, a principle essential to any democratic society. The text can therefore not be voted on as it stands,” they explained in their note to legislators. The LDH and several parties, including the Socialist Party, also opposed the bill. 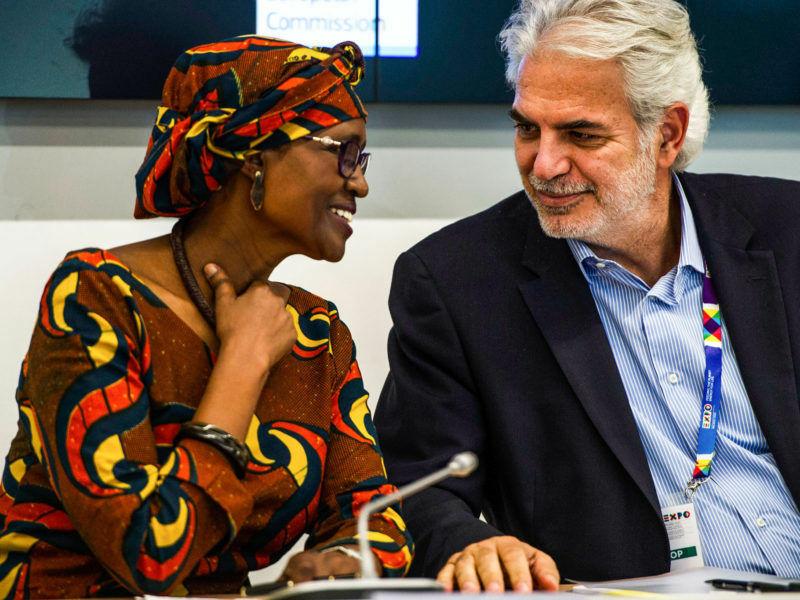 Winnie Byanyima believes it is high time to come up with fresh thinking in the world of politics and economy. But first, deeper self-criticism is needed across the board because all fields, including the NGO sector, are affected by a lack of trust from citizens. Following the dismantling of the Calais Jungle, many migrants now retreat to Brussels before attempting to cross to the UK. The Maximilian Park in downtown Brussels briefly became a refugee camp in 2015-16, before being ‘cleaned up’ by authorities. Migrants, mainly Sudanese and Eritrean, sleeping in the streets of the area, started being regularly woken up in the early morning by police raids, usually resulting in the ‘confiscation’ of sleeping bags, and other personal belongings. That prompted volunteers to organise. Every evening, associations like Belgium Kitchen distribute food in the Maximilian Park, then the Citizen Platform takes over, dispatching hundreds of migrants to private homes for one or several nights. The Platform’s Facebook page now has more than 32,500 members. “The government continues to congratulate itself on the fact that there is no jungle’ in Brussels, but it is thanks to us, thanks to the citizens who decided to step up instead of the state and not to leave people outside in the rain and cold!”, commented one irritated hostess. For the Citizen’s Platform, there is one quota they would like to see fulfilled: the relocation of refugees from other EU member states, like Italy or Greece. “Belgium has only relocated 900 refugees, out of the 4,000 it should have taken,” stressed Medhi Kassou, a spokesperson for the Platform. These groups have been repeatedly targeted, with the federal police attempting to arrest undocumented migrants in the park and to intimidate organisers. However, these operations appear to have had the effect of increasing civic activism and press interest. Several municipalities in Brussels have also refused to participate in police actions against migrants and refugees. Local press reports suggest that there are daily quotas for the arrest of between 12 and 20 migrants per day. The interior minister has said that a maximum number of arrests are permitted each day, dictated by the number of places available in closed centres and on flights scheduled for repatriation, but that there are no quotas. Last week, several sources in the police and the interior ministry contacted the Citizen’s Platform and the LDH to warn them that a police operation was planned at Maximilian Park on the evening of 21 January. A resistance message was sent through social media and no less than 2,500 Bruxelloise braved the rain to form a long human chain to prevent the police from entering the park. 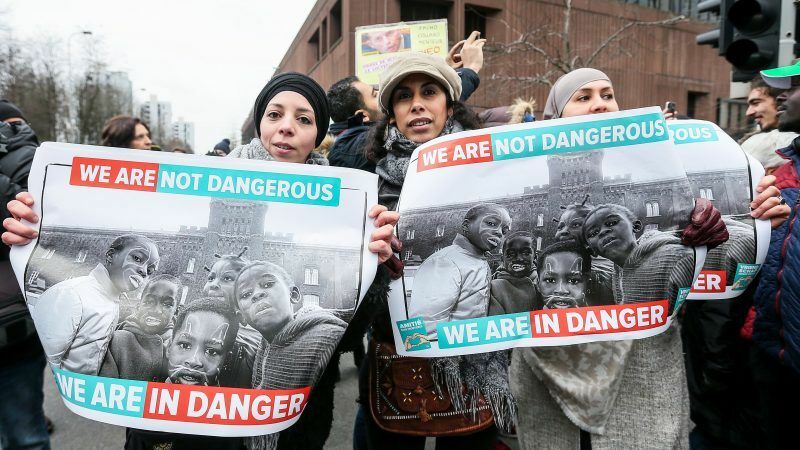 “What is moving is the fact that fathers and mothers come with their children to look for migrants they are going to host,” Sotieta Ngo, director of the Ciré (Coordination and initiatives for refugees and foreigners) told Le Soir. 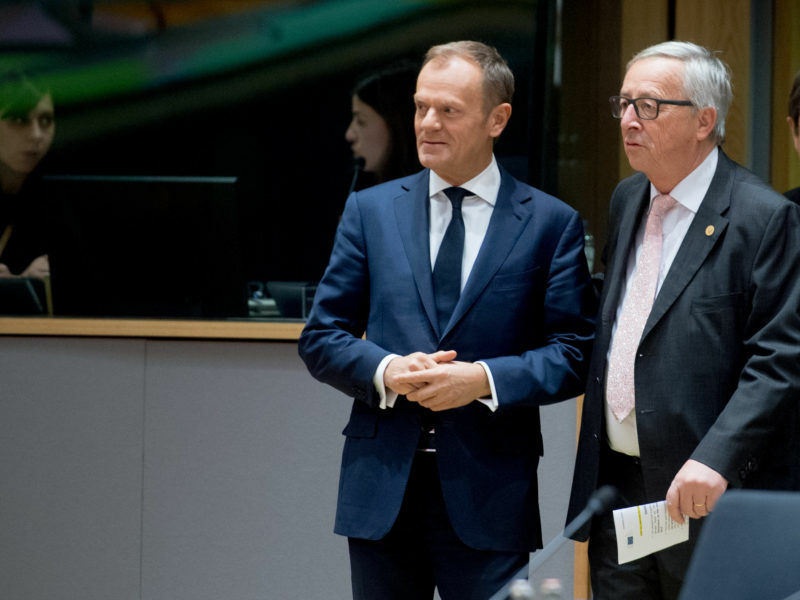 EU leaders ended the first day of the end-of-year European Council summit with no sign of tensions thawing amid recent disagreements on migration, which have once again exposed divides between eastern members and ‘old Europe’.